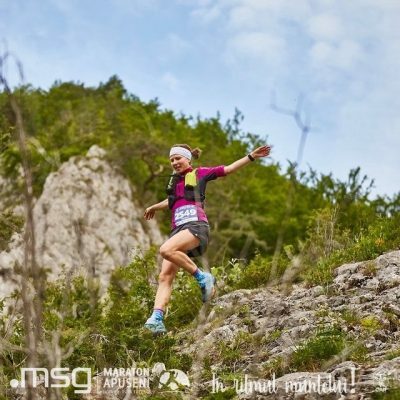 The Romanian Alpine Club, Cluj University Section, Clubul Sportiv Alpin Universitar, with the support of the main partner msg Romania, announce the partnership with Robert Hajnal who becomes ambassador of msg Apuseni Marathon. The partnership aims to build mutual support between the organizers, the official partner of the trail running competition and the athlete. Robert Hajnal will be present in Cluj-Napoca at a community meeting with runners and mountaineers, that takes place on May 8, at 18:45 at The Office conference hall. He will be also present at the start of the 9th edition of msg Apuseni Marathon. The Romanian Alpine Club encourages, develops and promotes the responsible practicing of any recreational mountain activities, declaring that the mountain areas are part of the public patrimony and must be accessible to all mountain lovers, without restraints; it promotes among all users of mountain areas the care, respect for the environment and the preservation of nature. The Romanian Alpine Club is a full member of the UIAA since 1937 and adheres to its statute. 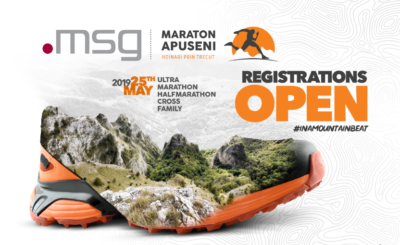 msg Maraton Apuseni offers trail running lovers five races that traverse small mountain villages, hills, rivers, and peaks of the Apuseni mountains. Competitors of all ages are awaited year after year, at the basecamp in Baisorii mountain resort to run either one of the technical races – ultramarathon & marathon (ITRA certified), half marathon, or the 7k cross and the family race where children and parents run and enjoy the outdoors together. The IT company msg Romania, part of the German concern AG, established in Cluj-Napoca in October 2008, counted in 2019 over 500 employees. In its offices in Cluj, Targu Mures, and Timisoara, msg develops projects for the German market and for customers all around the world, in many areas of business. Among the services offered count: software development and consultancy using Java, SAP, .NET technologies, mobile apps, software testing, system administration, technical support, and financial operations. At a global scale, msg has more than 8200 employees hired in 25 countries and a 961 million Euro turnover in 2018. Some of the most important clients of the company are: Audi, BMW, Daimler, VW, Deutsche Bank, Commerzbank, Finanz Informatik, Daimler Chrysler Bank, Deutsche Post, ADAC, Munich RE, Vienna Insurance Group, Allianz, Achmea si ING.